A simple bag with some modern upgrades and excellent materials that will stay useful for years to come. 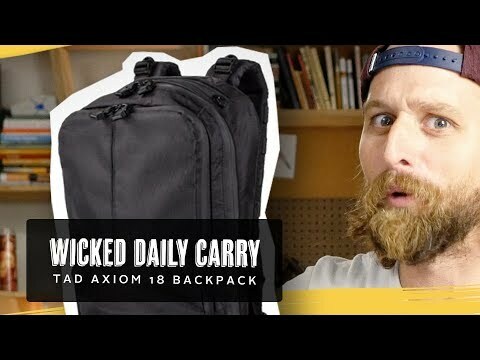 Excellent materials — DWR coated 525 ballistic nylon cordura, YKK aquaguard zips, excellent feeling straps… the guy mentions the THREAD he’s using on the info page. I like that! I love the straps, very comfortable, very quality feeling. And I love that there’s a luggage strap. It’s a bigger bag, 25 liters, with two tall compartments, one outer pouch. However, I do not like the lining on the inside of the bag! Feels too thin to me, bag bunches up, hard to get laptop in, etc. The Day Pack from Aer's Work Collection was instantly one of my favorite simple daily carry bags because it's minimal frame but high-functioning insides. A gorgeous messenger bag with a kind of modern urban-alpine aesthetic and absolutely lovely, dense, long-haul materials. A very innovative backpack for either large daily carry or serious travelers who need one bag for both travel and daily carry. This is a winner for me in the medium size 1-bag travel category.